As of today, chronic hepatitis B (CHB) is reported in more than 400 million people worldwide. On top of the negative symptoms caused by the virus itself, it is closely interlinked with the long-term complications of liver failure and cirrhosis. The same results are observed for the development of hepatocellular carcinoma (HCC). Nevertheless, the general status of modern HBV therapy has been significantly improved throughout the last decade. Recent clinical trials provided the necessary background for the introduction of the hepatitis B cure new drug – Tenofovir disoproxil fumarate. TDF is an orally administered pro-drug of Tenofovir – a nucleotide reverse transcriptase inhibitor that provides significant effects in the therapy of both hepatitis B virus (HBV) and HIV-1. As a component of antiretroviral combination therapy regimens, it plays a crucial role in the treatment of adults with CHB. In such patients, its efficacy has been established in two randomized eight-year clinical trials. For instance, the hepatitis B cure latest news 2019 allow us to conclude that TDF provides effective and safe therapy in CHB patients. The rates of sustained virological suppression observed in the recent clinical trials have been very high. Most treated patients tend to achieve complete virological suppression after the course of prolonged therapy. 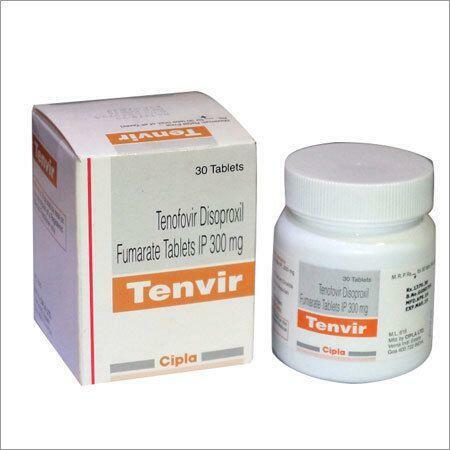 Both studies demonstrated the high efficiency of Tenofovir DF in the treatment of CHB. The treatment has been generally well tolerated. Based on the obtained clinical results, the medication is currently considered the first-line hepatitis B cure medication, given its high efficacy. Recent clinical studies have provided strong evidence of both safety and tolerability of the medication. In general, the benefits of TDF outweigh most of the potential risks. Adult patients with compensated liver diseases, signs of active viral replication, and histologically confirmed active inflammatory processes and/or fibrosis. Adult patients with proven HBV resistance to Lamivudine. Adult patients with decompensated liver diseases. Children with chronic hepatitis B from 12 to 18 years old with compensated liver diseases, signs of an active inflammatory process and active viral replication, and histologically confirmed active inflammatory processes and/or fibrosis. Atazanavir and Lopinavir/Ritonavir. These medications may increase the concentration of TDF in the human body. The mechanism of this interaction is currently unknown. Patients receiving Atazanavir/Ritonavir and TDF or Lopinavir/Ritonavir and TDF should be scrupulously monitored in case of associated unwanted reactions. Patients with adverse reactions associated with TDF should discontinue the therapy. The combined administration of TDF and Didanosine increases the systemic action of Didanosine. Patients who receive a combination of TDF with Didanosine should be carefully monitored for the development of severe side effects. Acyclovir, Valaciclovir, etc. The simultaneous administration of these therapeutic agents with the hepatitis B cure medication may increase the concentration of TDF in the blood. Along with its desired action, the therapeutic agent may cause some unwanted effects. Usually detected negative effects of the drug do not require medical attention. Evaluation of adverse reactions is mainly based on the results of two double-blind prolonged controlled trials, in which 641 patients with CHB and compensated liver function received the drug daily for 48 weeks. Lack or sudden loss of strength. Side reactions associated with the drug, mostly minor, may be expected in almost 25% of patients. In the recently conducted clinical studies, nausea was the most frequent adverse reaction with the occurrence of 5.4%. It should be noted that the therapy might lead to the spontaneous exacerbation of hepatitis B. Such symptoms have been reported in patients after discontinuation of the therapy. These exacerbations are usually associated with an increase in the concentration of the hepatitis B virus DNA, and most of them disappear without additional intervention. However, during the first six months after the discontinuation of the treatment, it is necessary to monitor the functional state of liver according to the established clinical and laboratory parameters. If necessary, it may be advisable to resume treatment.